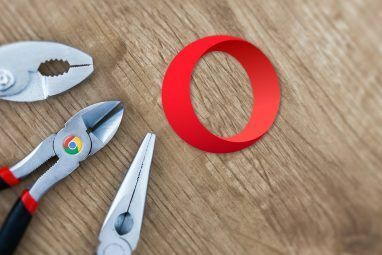 For those of us who love using Chrome for our daily browsing, having the perfect music extensions on hand is pretty much essential to enjoying the day. 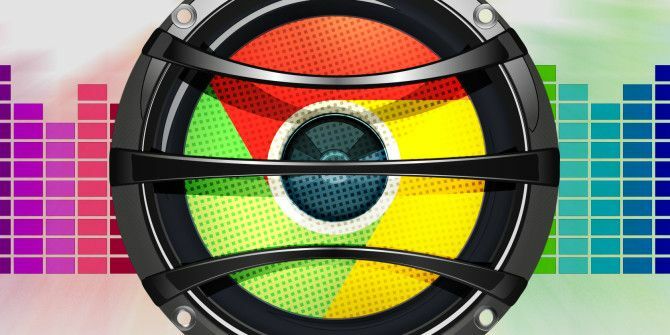 And since the selection of music extensions available for Chrome 7 Extensions Every Music Lover Needs Installed on Chrome 7 Extensions Every Music Lover Needs Installed on Chrome Google Chrome has made extensions a really big deal. 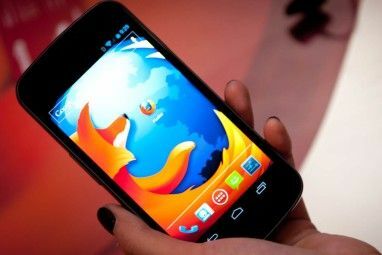 Of course, add-ons existed long before Google Chrome was even an existing browser, but it seems like Google's browser has really pushed applications and extensions to... Read More is changing all the time, it can be easy to miss the best ones coming onto the scene. You may not even realize how much you needed a certain one until you try it. This drum machine is incredibly simple and totally addictive. All you have to do is hit a few squares and press play to get your totally unique drum loop. Save as a WAV file when you’re done, and use it in whatever other creation you’re working on. This extension is for really lazy people who just want the right sort of music to play. Click the button, choose a genre and listen to tunes. It’s that easy. It will find you popular tunes that fit your choice and you just sit back and listen. This neat service lets you store 250 songs in the cloud for free and play them using their Chrome app. You can automatically sync music from iTunes or import from Google Drive or Dropbox so the music is easily playable. An upgrade costing €39.99/year will let you sync up to 10 devices and store unlimited tracks. This is basically the point of this app for most people: to be able to store music in Google Drive and access it on their iPhone. The Audiobox app and extension combination is an excellent way to tie all your online music together. Connect your YouTube, SoundCloud, Google Drive, Box, Dropbox, and more all in the one place. Most of these services require paid accounts to connect, but paid accounts start at just $0.99/month, and also let you store files on their cloud servers. What’s really impressive about this app is that you can create simple or smart playlists using your songs from a variety of online services. Then you can play your AudioBox playlists from any connected device (iOS and Android included). This scrobbling extension has been around forever, but is the essential tool for people who still love tracking their music listening habits in Last.fm. Make sure you have it. For Deezer users, this is the ultimate extension. It gives you hotkeys, notifications and a popup for info and playback tools. There’s no web app for Deezer, so be sure to bookmark it. This is the Google Play user’s ultimate extension: notifications, a popup of information and playback tools, Last.fm scrobbling, and lyrics. Just what you need to keep the tunes coming. If you create a lot of playlists in Spotify, you might want to back them up in order to import them into other music players or to just keep your hard work safe. This extension makes it really easy, as you just navigate to the playlist in the web version of Spotify and click the extension button. Get your playlist as a M3U or JSON file with one more click. In a similar vein to above, you might be keen to save all of your Rdio playlists to Spotify now that the service is closing down. This is the perfect tool — it’s not a Chrome extension, but it’s a tool many of us should use quickly before it’s too late. This is a really unique app on this list, in that it lets you play music from your own hard drive or USB. This is perfect for Chromebook users, who might have a collection of their favorite tracks on a USB they plug in occasionally. With Songist, you can create a decent playlist for those files and listen to them using a familiar interface. This is a huge improvement on the default Chromebook tools. There a bunch of other apps on Chrome, which basically just direct you to the web app. That said, most of these are huge sites and they are part of a Chromebook user’s essential music app collection, so be sure to get the app and also bookmark the site for everyday use. Spotify — Spotify Spotify Music Streaming: The Unofficial Guide Spotify Music Streaming: The Unofficial Guide Spotify is the biggest music streaming service around. If you're not sure how to use it, this guide will walk you through the service, as well as offer some crucial top tips. Read More is one of the most popular music streaming services in the world for very good reason. It rocks. Free plans are available, and paid subscriptions start at €4.99. Google Play Music — Google’s own web streaming service. It lets you upload 50,000 songs from your own music collection, which can be automatically or manually added as you prefer. On top of that, you can buy individual tracks or subscribe to their unlimited service for €9.99. It’s a great way to blend your old favorites with new music. SoundCloud — SoundCloud is a platform for original works of music, and has also become popular for hosting podcasts. As a free user, your uploads are limited to 3 hours of content, and paid accounts start at €4/month. Stitcher — Stitcher is an interesting web service that lets you piece together a playlist from talk radio, podcasts and live radio on demand. It has a neat front page that will highlight some of the most interesting stories Read More Intelligent Content in 2016 with These 35 Sites Read More Intelligent Content in 2016 with These 35 Sites We should all read these 35 sites more often. If you are tiring of dumbed-down content make things somewhat more thoughtful this coming year with this super list. Read More of the day, and the hot channels of the day. If you’re into random interesting stories, this is the perfect app. Undrtone — Undrtone is a cross-platform music discovery service, allowing you to connect your Spotify, Deezer and SoundCloud accounts. From there, you can get recommendations based on your taste, your friends and their own tastemakers. Browse trending tracks, recommended hashtags or people to get a playlist for the day. Soundtrap — This web app is one of the hottest things in music production right now. It lets you create original music with musicians from around the world, and mix the creation just as you would in Audacity — but it’s an online alternative Audacity tool 4 Audacity Alternatives for Music Production Online 4 Audacity Alternatives for Music Production Online You need Audacity-like editing features, yet you're using a Chromebook. What do you use? There are now some fantastic web apps for music collaboration that work in much the same way as Audacity. Read More . The beauty of it is that it’s a collaborative effort. If you make music, you need to try this. Earbits Radio [No Longer Available] — This is a simple way to listen to free, curated, independent, ad-free music. AccuRadio [No Longer Available] — Just about every online radio station in the world at your fingertips. The beauty of it is that they’ve created collections of stations for you, such as Christmas music, workplace moods music, genres and more featured collections. PocketCaster — This unofficial Chrome app leads to the official PocketCasts web app, which is an awesome way to listen to your favorite podcasts The 20 Best Podcasts of 2015: As Recommended by MakeUseOf The 20 Best Podcasts of 2015: As Recommended by MakeUseOf Have you ever wondered what your favorite MakeUseOf authors listen to when they want to learn something new, hear a good story, or simply be entertained? This article means you need wonder no more. Read More on the web. And for a one-time fee of $9 you can sync your podcasts with your smartphone forever. TuneIn — The unofficial TuneIn Chrome app takes you to the official TuneIn page, which is another fantastic directory of online radio stations and podcasts. One of the most unique things about this directory is you can get a list of local stations and podcasts in any area worldwide, talk radio stations, sports, music, language learning or pretty much whatever else you’re looking for. Children’s music, Christmas music, Folk, Disco, 80s, Classical and more. You can even organize all the stations you follow into your own folders. So really, get all these music extensions and apps installed in your Chrome browser right now. You’ll never be at a loss for interesting music to listen to ever again! What are your favorite music extensions for Chrome? Which web apps do you turn to every day? Which stations and podcasts keep you entertained the most? Tell us! 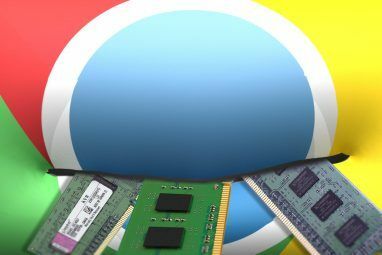 Explore more about: Browser Extensions, Google Chrome, Google Music. Just Explore The Site STREAMSQUID. Lots Of Music To Choose From. There Are Articles About STREAMSQUID Here In MUO. Just Use The Search Feature In The Top Right Corner.